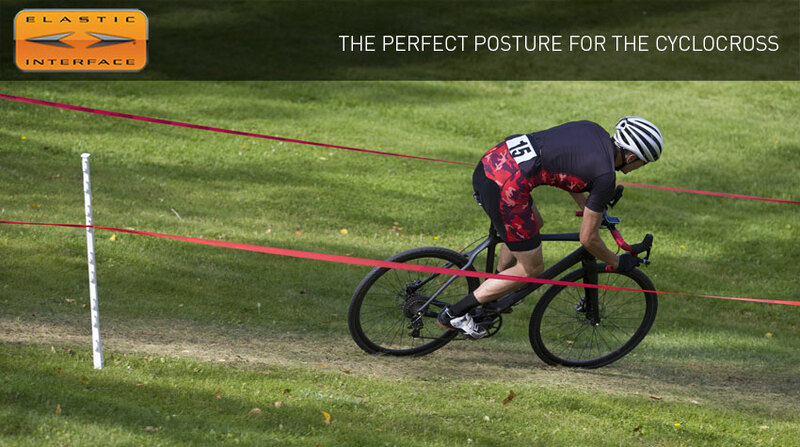 What is the best posture for cyclocrossing? Each person has different physical characteristics and different pedalling styles, making it therefore difficult to establish exactly which posture to keep on the saddle. We recommend you take a biomechanical test to see exactly what your anthropometric measures are, but in the meantime let’s find out more about posture in order to optimise your pedalling on a cyclocross bike. Cyclocrossing requires two fundamental elements: to be able to express maximum power and best ride a bicycle on terrains with low degree of adherence. For these reasons, the saddle should be adjusted at a slightly lower height compared to a road bike because one has to be well centred so as to easily switch from steep uphill climbs to controlling the bike around bends and going downhill on muddy lanes, gravel and sand. The difference in height between the saddle and the handlebars is of about 2-3 centimetres, a factor that entails considerable stress on the lower back region and a reduction of the load on the cervical area and on the trapezium muscles. Since the position of the body is slightly raised, the angle formed between the chest and the legs is wider and consequently the pressure point on the saddle is slightly shifted backwards, towards the ischial bones. Furthermore, to avoid the intense effort of the race causing unpleasant joint pains, the cyclist must maintain a soft and relaxed posture. Finally, it is fundamental to remember that the handlebar is closer, higher and sometimes wider compared to that of a racing bicycle and that cross-country cyclists prefer a higher handlebar due to the rough terrain. If you follow these guidelines, don’t expect to go faster than world champions Wout van Aert and Mathieu van der Poel, but you still have a good chance of improving your performance. As for us, we have created the Cross Performance pads for Men and Women, specially designed for cyclocross riders. From road to country paths and from tarmac to mud, Elastic Interface® protects all cyclists. Having just mentioned them, we could not fail to end with a video dedicated to them: but you make sure not to imitate them! Womens’s cycling: who says women don’t ride bikes? Elastic Interface cycling pads shared a post — with Andrea Vendrame. Ci siamo! Jacopo, Marzio e Andrea pronti a difendere i colori dell’Olympia Factory Team a Ibiza!